Loving Gorilla Life’s green drink! This green wonder is just delish and beyond refreshing for a hot day. The drink is made from 100% organic alfalfa chlorophyll. It contains eight essential enzymes that help clear your skin, strengthen your immune system, metabolize energy, assist in digestion and detoxify your blood! You can find this refreshing green goodness of a drink at Whole Foods. It’s a great afternoon pick me up. Try it, and see how you feel! Nibble on some air-popped popcorn! This non-processed whole grain is packed with antioxidants which help fight the bad molecules that damage cells in our bodies. The best way to make this crunchy delight is on your stove using all natural, non-processed kernels that you can buy at any local market (my favorite are Eden Organic Kernels from Whole Foods). Of course, most people are on the go, so plan in advance! Once you get into the habit of planning, it will become less burdensome and much easier. The night before take a couple of minutes to air-pop the kernels on the stove and throw it into your own container! You can add some delish spices like cinnamon, garlic or nutmeg to give it an extra kick of flavor. Like spicy? Add some cayenne pepper, which also speeds up your metabolism! Get creative and find out what works for you! Comments Off on Need to Munch? 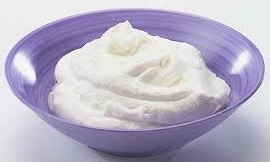 Greek yogurt is a great snack or breakfast option; FAGE is my favorite brand. This all-natural delicious delight is packed with protein (double the amount of normal yogurt), healthy carbohydrates, probiotics and calcium. FAGE Greek yogurt is gluten-free which makes it easy to digest as well as diabetic friendly. Most store brand yogurts are packed with horrible chemicals and high-fructose corn syrup. High-fructose corn syrup increases your levels of ghrelin, a hormone that stimulates your appetite and makes you crave more fake, highly processed junk foods. Comments Off on Yogurt Lovers: Go Greek! and insoluble fiber. 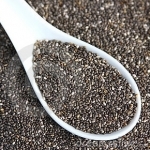 Chia seeds are released slowly in your body providing constant endurance and fuel for longer amounts of time. Sprinkle them on your oatmeal, yogurt, salads or with some soup! The variety of health benefits these seeds offer will help curb those crazy cravings throughout the day and give your body the balanced nutrition needed to thrive! These little guys are a true superfood. Why? Quinoa has the highest nutritional profile of all grains and contains all eight amino acids making it a complete protein. It’s LOADED with B vitamins, potassium, calcium & vitamin E. Quinoa is gluten-free making it easy to digest as well as an ideal food for endurance keeping you fuller and more satisfied throughout the day! Not to mention packed with fiber! Quinoa’s delish nutty flavor is an added bonus! 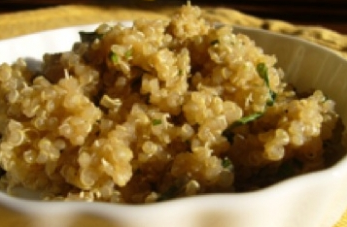 Comments Off on Current Grain Obsession: Quinoa!